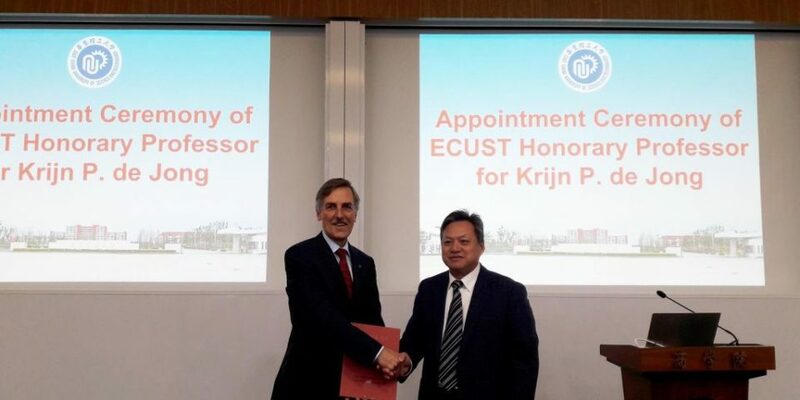 Krijn de Jong, professor of Inorganic Chemistry and Catalysis (Debye Institute for Nanomaterials Science), has been conferred a Honorary Professorship at East China University of Science and Technology (ECUST) in Shanghai on November 13, 2018. The Vice President of ECUST awarded him prior to a lecture that he delivered entitled “Effects of Size, Location and Support on Nanoparticles in Catalysis”. 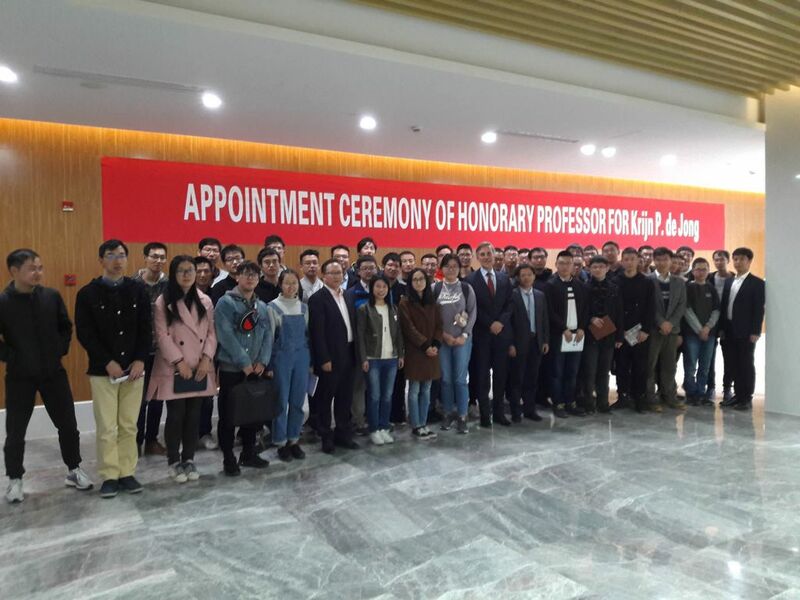 The connection between ECUST and UU has developed because of joint interest in C1 chemistry and catalysis. The honorary professorship of ECUST earlier was bestowed upon fellow Dutchmen Prof. Ben Feringa and Prof. Roeland Nolte.